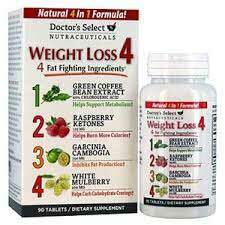 Doctor’s Select Weight Loss 4 is a diet pill made in the US by Windmill Health Products. The company used to produce four unique products that bore the same name and could only be differentiated from each other by the colour of the pack. The former pack colours were red and white, blue and white, and green and white. Now there is just one. That should help reduce confusion for potential buyers of the product, but it’s worth bearing in mind the fact that the formulation of ingredients used in the present red and white pack is not the same as the one used in the former version. It’s identical to the one used in the green and white. If Windmill Health had put a little more thought into the matter, and chosen another colour option, such as yellow and white, it would have made a lot more sense, but let’s forget about colours for now and take a look at the present Doctor’s Select Weight Loss 4 and what value it’s likely to offer. Quick comment: A reputable brand and a good set of ingredients. However we feel your money is better spent elsewhere and your weight loss regime will benefit greater if you choose Leanbean – a fat burner created for women. 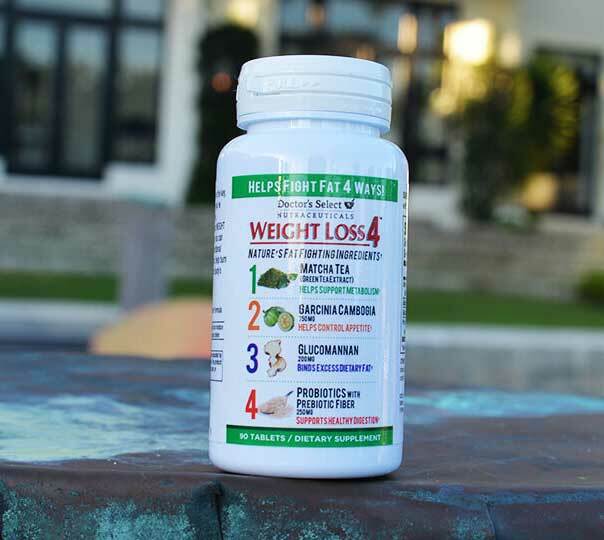 If the formulation can help the body to burn extra calories, and it helps create a calorie shortage that necessitates the burning of fat for energy, Doctor’s Select Weight Loss 4 will not be without value as a weight loss aid. But many supplements that are designed to work in such a manner fail to do the things they are intended to do, so the quality and quantity of the ingredients used in the formulation is paramount. Anyone who eats less food per day will lower their calorie intake. This can also encourage the required calorie deficit. When the appetite is adequately suppressed it becomes easier to achieve this so, again, in theory, the formulation may work. Fat is a high calorie food. It provides 9 calories per gram. 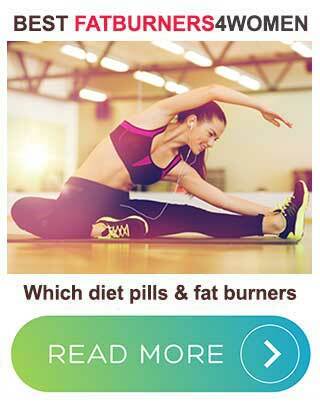 Fat binders limits fat digestion, so using fat binding diet pills can be a good way to lose weight. Unfortunately, Windmill Health are using glucomannan as a fat binder and, although it has value in other areas, it’s not a recognized fat binder. Green Tea Leaf Extract and Matcha Tea (262.5mg): Matcha (ground green tea) is alleged to be 10 times more powerful than normal green tea, so this is a good ingredient to have. Green tea is often praised for its health benefits and it’s also a proven fat burner. Garcinia Cambogia Extract (750mg): The key component in garcinia cambogia (hydroxycitric acid) is famed for its hunger controlling ability. It also prevents the body from creating fresh fat cells in response to too much carbohydrate. For good results garcinia cambogia extracts need to be 60% hydroxycitric acid. Windmill Health fails to state the HCA percentage of the extract used here. Glucomannan (200mg): A plant fibre that absorbs water inside the stomach and expands to create a feeling of satiety. Experts at the European Food Safety Authority (EFSA) discount most of the claims made for glucomannan, but endorse its value as an appetite suppressant. However, the EFSA state at least 3000mg of glucomannan is needed per day. The amount included here is not nearly enough. ProBiotic Blend (250mg): Often known as “good bacteria”, probiotics are believed to strengthen the digestive organs and improve gut health. Usage Guidelines – The tablets are intended to be taken with meals and the recommended dose is one tablet, up to three times per day. Several product users report experiencing stomach upsets and feelings of nausea, so we suggest all potential users check with their GP prior to commencing supplementation. 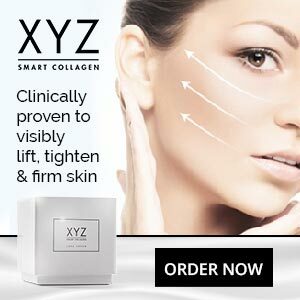 Although the product is readily available in the US, where it can even be found on the shelves of Walmart and many other supermarket chains, people living in the UK will find Doctor’s Select Weight Loss 4 much harder to obtain and will have to spend some time searching for a US supplier willing to provide international shipping options. The price per pack is normally £18 or less, but postal charges could double this, so Doctor’s Select Weight Loss 4 is not the diet pill bargain it first appears to be. 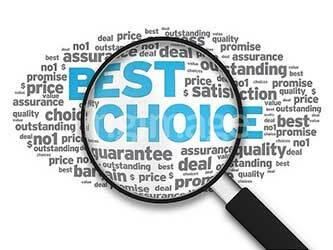 Customers are not provided with a money back guarantee. At first blush, the formulation of ingredients used in Doctor’s Select Weight Loss 4 doesn’t look bad, but closer inspection reveals some flaws. Although probiotics are good for the gut, they are unlikely to offer a lot of support to people who need to lose weight. Garcinia cambogia is a good weight loss provider, but the HCA content is important and it could be the extract used here may not provide enough. Glucomannan has been added for the wrong reason. The ingredient that offers the most value is undoubtedly green tea, but its pretty much going it alone here, so Doctor’s Select Weight Loss 4 does not compare well to leading weight loss products like PhenQ. Bearing in mind the difficulties and costs involved with getting the product shipped to the UK, and the lack of a money back guarantee, Doctor’s Select Weight Loss 4 could prove to be a waste of time and money. Customer reviews also fail to work in this product’s favour because it appears to have already let a lot of people down. So, all things considered, If you are thinking of buying Doctor’s Select Weight Loss 4, you may do well to think again, and consider buying something that’s easier to get hold of and has a better reputation for delivering results.